GOLD MINING output in China fell almost 3% in the first 3 months of 2018 compared with the same period last year, according to new data. 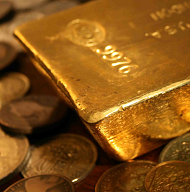 That extends the 6% annual drop recorded in 2017 according to the latest statistics from government-backed body the China Gold Association. The world's No.1 gold-mining nation produced 98.2 tonnes in the first quarter, the CGA said down from over 101 tonnes a year earlier. Environmental regulations drove the drop, the CGA says, forcing the "clean-up and orderly withdrawal of mining rights in the country's protected areas [while] some gold mines closed, causing China's gold production to continue its downward trend." China's management of hazardous waste, for imstance, has become increasingly stringent in recent years, with a 2016 order listing cyanide tailings from gold mining "as a danger". 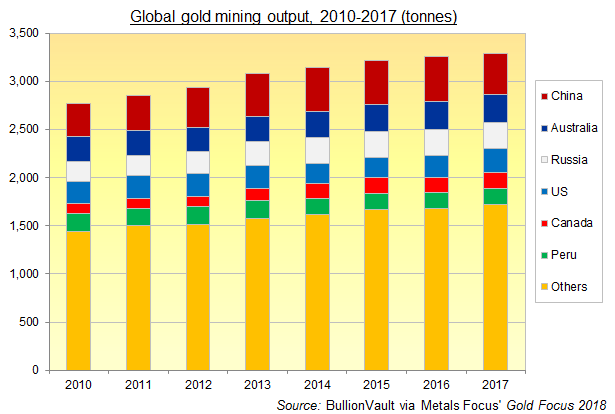 Globally 2017 saw a new record for gold-mining output, creeping almost 1% higher to 3,292 tonnes according to specialist consultancy Metals Focus, with the drop in China offset by 8% growth from No.3 producer Russia and 6% growth from No.4 the US. Output from No.2 miner Australia was flat, as was No.6 Peru, while No.5 Canada rose 5%, says Metals Focus in its new Gold Focus 2018. The last 3 months of 2017 saw global output rise from a year earlier, says a separate report from rating agency S&P's mining research team. "However, the largest [company] producers did not drive that increase," S&P Global says, as "several of the top 10 gold miners had lower production than in the fourth quarter of 2016" with No.3 producer Goldcorp (NYSE:GG) shrinking 15%. No.1 gold mining company Barrick (NYSE:ABX) last week reported a 20% drop in its first quarter production from the same period last year. Polyus Gold (MCX:PLZL), Russia's top miner, in contrast reported 13% year-on-year growth in its first quarter output on Tuesday, keeping it on track for 2018's expected target. 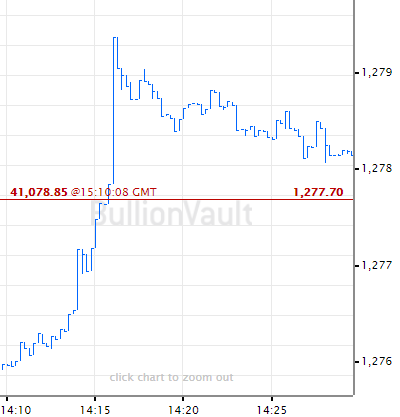 Polyus' stock price last week sank by almost one-fifth after majority shareholder Suleiman Kerimov was sanctioned by the United States Treasury "for being an official of the Government of the Russian Federation" – now blamed by the UK, US and their Western allies for the attempted murder of ex-spy Sergei Skripal in Britain in March. The sanctions won't change how Polyus runs its business, says CEO Pavel Grachev. 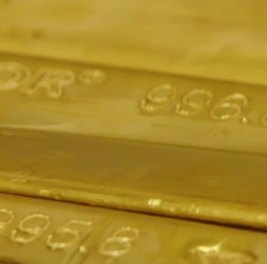 Analysis by BullionVault recently found that since Western sanctions against Russia over its annexation of Crimea began blocking international sales of Russia gold in 2013, the central bank in Moscow has bought 70% of the country's gold-mine output, swelling its national bullion reserves to joint fifth-largest alongside China.